Explore some of the most quintessentially Swedish locations in the country. In the Dalarna province you will be stunned over the scenic views of green fields and small red cottages in the distance and see how the national symbol, the Dala Horse, is made. Of course this tour also covers attractions such as impressive castles, friendly cities, interesting museums and beautiful nature scenes. 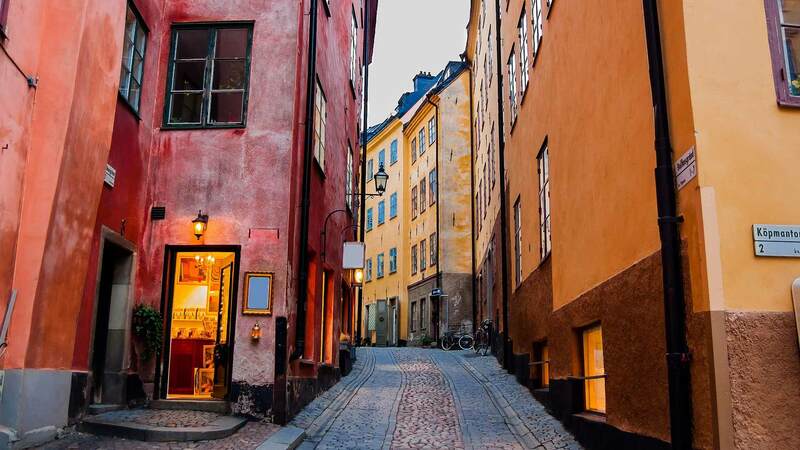 Arrive to Stockholm-Arlanda Airport, where you are greeted by a driver and privately transferred to your accommodation in the heart of the capital city. If you arrive early, we recommend getting My Stockholm Pass, which gives you free admission to a total of 75 experiences, free sightseeing tours, discounts to a number of restaurants, shops and much more. Among the highly recommended attractions are the Vasa Ship Museum and the City Hall, where the Nobel Prize banquet is held each year in its famous Blue Hall. After breakfast, start your drive north. Around the town of Enköping there are many interesting sights to explore, including the Grönsö Castle, several nearby medieval churches and many Viking age rock carvings. Continue north to the town Sala. Here you can take a guided tour of the Sala Silver mine and it is even possible to spend the night (not included) in the one of a kind mine suite. As well as the guided tours of the mine there is a mine museum, a police museum and several crafts shops to visit in the area. 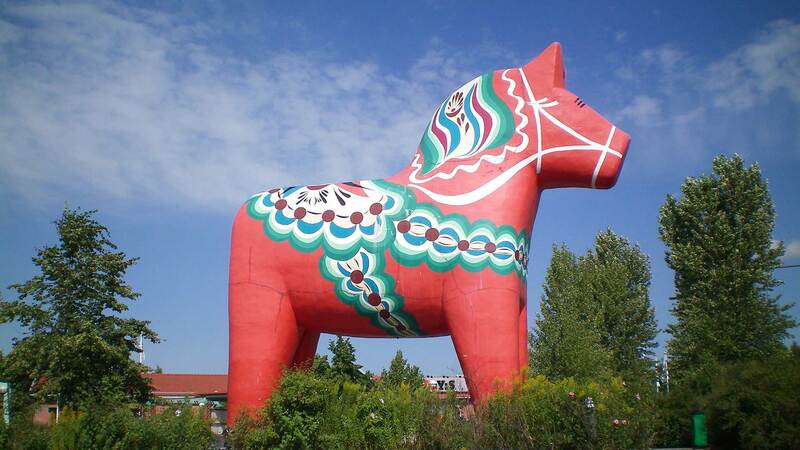 When entering the province Dalarna, your first stop is Avesta, where you will find the largest Dala Horse in Sweden. This is a perfect stop for a great photo and an afternoon snack at the café/restaurant located here. After the stop drive to the World Heritage city Falun, where you will spend the night. In the afternoon drive to Rättvik, where you will spend the night. Driving distance approx. 125 km / 78 mi. 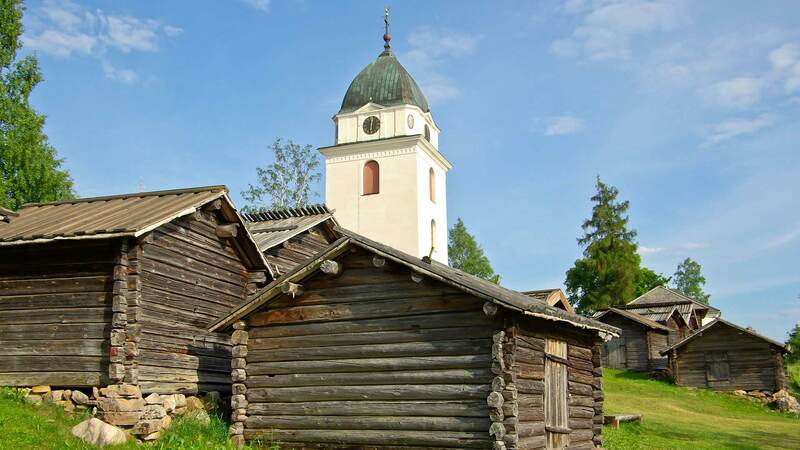 After breakfast you can visit the Rättvik church which has a history that goes back 800 years. Here traditions are important and boats still stop by the church pier in connection with church services. Make time to see the old church stables that were used as shelter for people and horses. In this area there are many opportunities for activities such as fishing, horse riding and swimming. 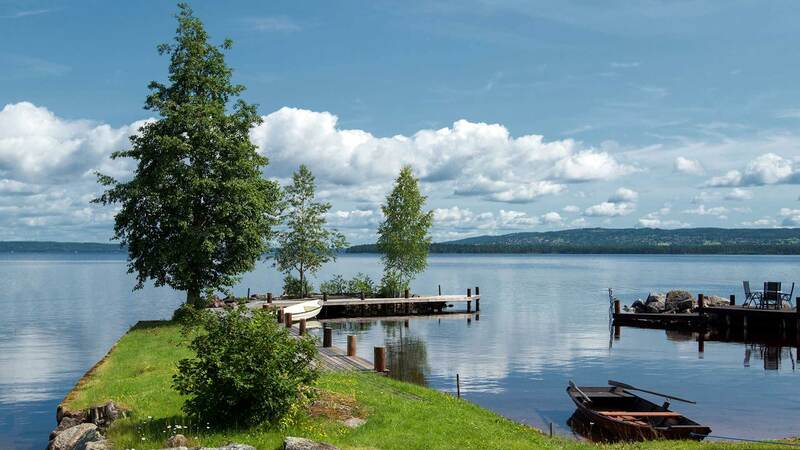 If you wish you can take a short tour to the pretty village of Tällberg by Lake Siljan just 15 km. south of Rättvik. If you decide to rather go north of Rättvik you will find the Styggforsen waterfall approx 20km north of Rättvik. Take a walk in the nature reserve and look at the “troll hole” cave located at the foot of the waterfall. Spend the night in the Rättvik area. 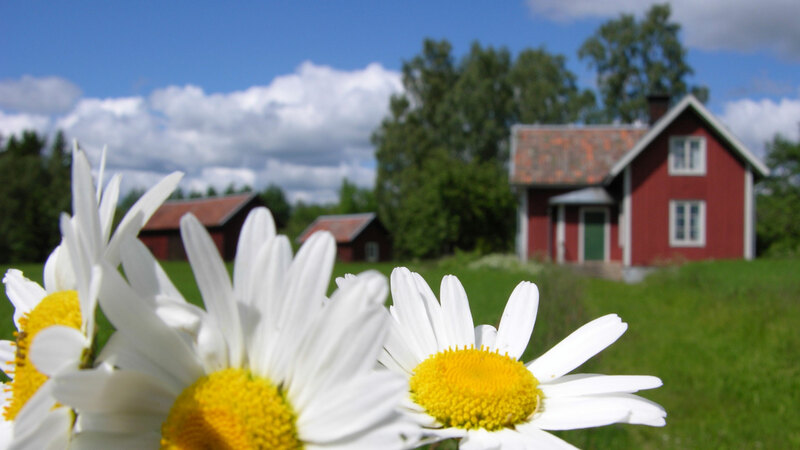 Start the day by driving west to Nusnäs and visit the Grannas Dala Horse Workshop. At this family owned workshop, opened 1922, you can see how this popular souvenir and symbol of Swedish handicraft tradition is made and, of course, you can also buy your own keepsake. 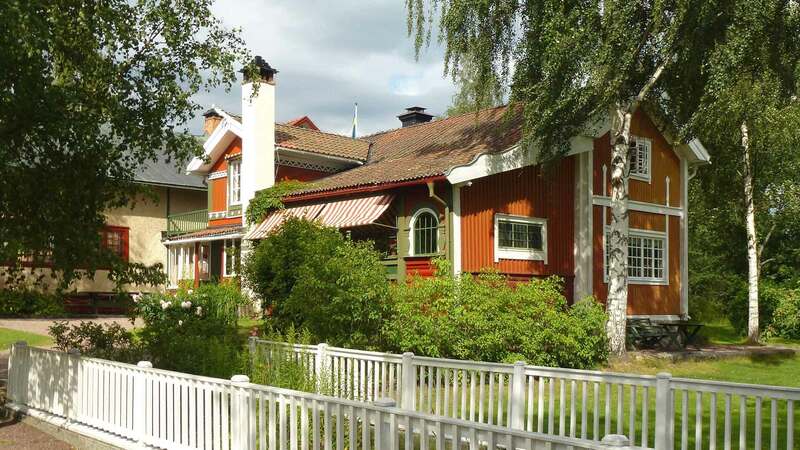 Then continue the short drive to Mora, where we recommend visiting the home and museum of the artist Anders Zorn, who was among Sweden’s most famous painters around 1900. Also visit Zorns Gammelgården, a collection of old log buildings, some dating all the way from the 13th century. Just north of Mora at the Grönklitt bear park, Europe’s largest natural bear park, you will not only find bears but also wolves and other Swedish animals in their natural habitat. This is a must for all animal lovers! Spend the night in the Mora area. Enjoy breakfast at the hotel before you start your drive towards Sunne in Värmland. Just south of Mora, at the small island of Sollerön in Lake Siljan, you will find a “collectors' museum” with all kinds of historical objects that people have donated to the exhibition over the years. Continue onwards through the Swedish forest and enjoy the scenery. Why not make a stop by one of the many lakes for a swim? Another recommended stop before Sunne is Torsby where you can visit the local veteran car museum. Spend the night in the Sunne area. For garden enthusiasts, a visit to Rottneros Park is a must; here you will find several different park settings, gardens and sculptures. Even for non-garden devotees there is plenty to see, including a “motorbikes as art” exhibition. 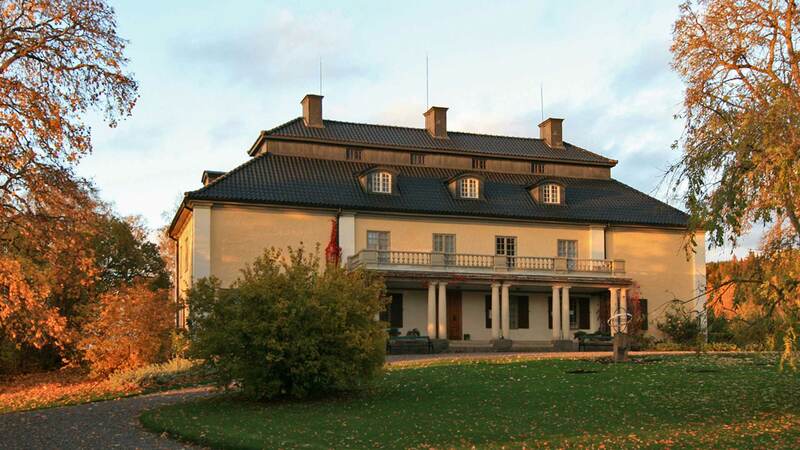 You can also visit the home of Nobel Prize winner author Selma Lagerlöf: Mårbacka, now a museum. Why not treat yourself with a visit to the famous Selma Spa where you can enjoy numerous treatments or a dip in one of the pools or Jacuzzis. The area you will pass today is well known for its many artists. On your way towards Karlstad we recommend a coffee or lunch stop at the beautiful Sillegården, which also offers exhibitions of local artists. Another recommended stop on the way is the Klässbols Linen Mill; here you will find quality linen goods for sale. Products from Klässbols are used by the royal family, by Swedish embassies around the world, and by the hotels that accommodate the Nobel ceremony visitors. After passing Karlstad, on the way east, don´t miss the 15 meters high Picasso sculpture in Kristinehamn, donated to the city by the artist in 1964. If you are up for it the Nobel Museum in Karlskoga is well worth a visit. At arrival to Örebro, see the open-air museum in Wadköping, with its beautiful old buildings, craftspeople and shops. Also visit the 14th-century Örebro Castle and join a guided tour to learn about its remarkable past. Spend the night in Örebro. After a nice breakfast it is time for the last leg of this trip around Sweden. Drive towards Eskilstuna, where you can visit the Rademachersmedjorna, a 17th-century blacksmith community, where the smiths are still busy with their craft. Also visit the Sigurd rock carving, created 1,000 years ago. Continue east to Mariefred, through an area famous for its many castles and manor houses, and explore the 16th-century Gripsholm Castle—enjoy the art exhibition inside and the castle’s well-preserved interiors from different eras. Finally you arrive back in Stockholm where you return the rental car and check in to your centrally located hotel. In the evening we recommend a stroll in the Old Town with its many restaurants and bars. Driving distance approx. 205 km / 127 mi. Note:Extra days and activities in Stockholm before or after the tour can easily be added to this package; contact us for details. Overall, a very nice experience. This was our first time traveling overseas and while it took a little while to adapt to the local customs, once we figured that out we had a great time. I have to say, Swedish drivers are way more knowledgeable than US drivers. Everyone we met was extremely pleasant, courteous, and more than willing to help us out and explain any questions me had. Thank you so very much for organizing our recent trip to Sweden. Everything was wonderful! You quickly responded to my numerous emails this spring, answering each question as it came up. It was so nice to meet you in person. The information package re maps, vouchers, etc. was fantastic. In the 10 days that we traveled, we did not have a single problem with anything!! The trip was amazing from the start, at the airport to the finish. This adventure was beyond what I had expected. I highly recommend it to anyone traveling to Sweden. It truly was "Sweden in a Nutshell". Again Daniel, thank you for your outstanding professionalism in arranging this trip for us. You have given a group of friends a lifetime of wonderful memories.